Visiting Dubai was truly the experience of a lifetime! Visiting Dubai was also learning experience, one in culture and as a result I now have a new appreciation for the Abaya, the black cloak worn in public by Muslim women. 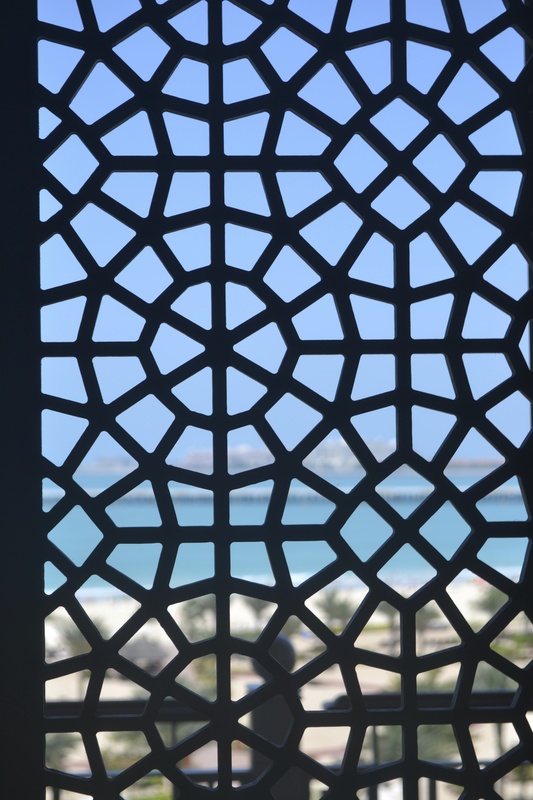 Researching the cultural restrictions prior to leaving, reversecommuter was WORRIED about what part of my wardrobe I would actually be able to wear in Dubai (click here to revisit). According to Muslim customs, Western women should have everything from the shoulders to the knees covered in public. Uh…that eliminates my entire summer wardrobe. Truly. 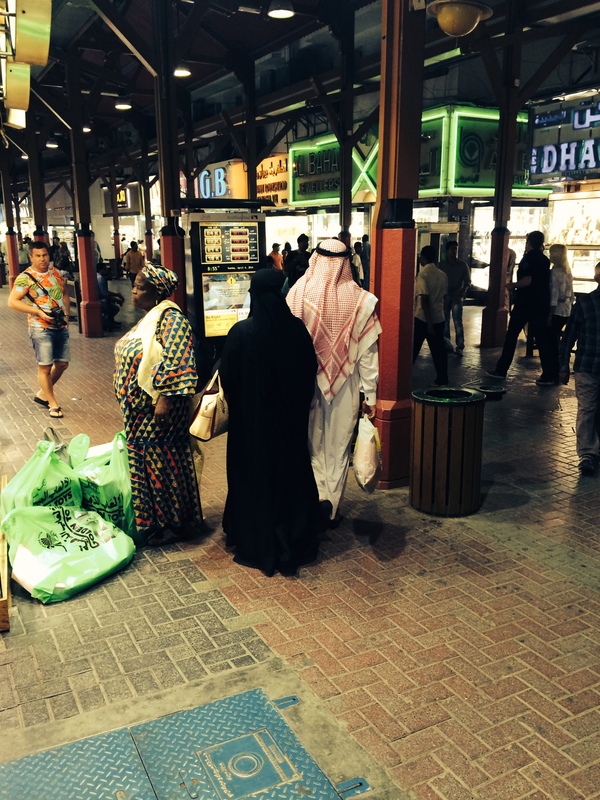 Once I arrived in Dubai I noticed that Westerners were taking the dress code quite lightly. As in Daisy Dukes, revealing sloppy tank tops and mini skirts galore. All of a sudden the Abaya approach seemed to offer an element of class and grace. 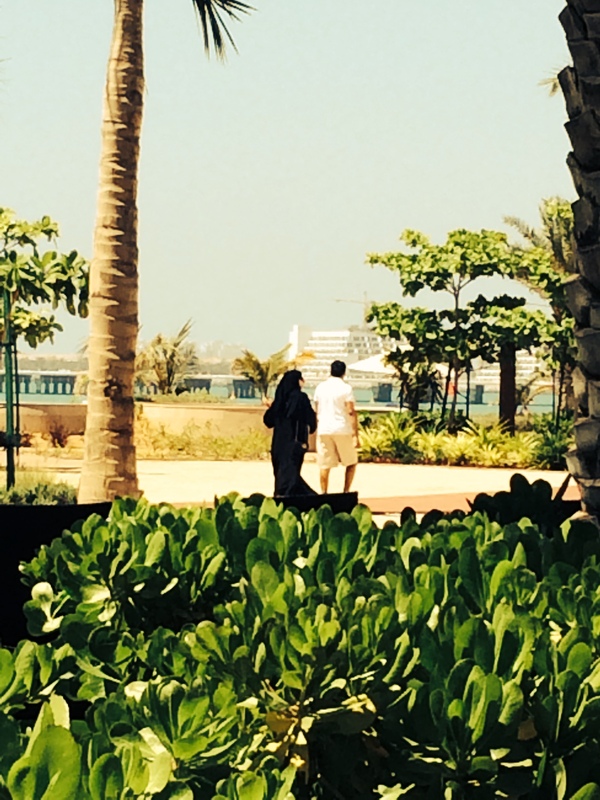 Prior to Dubai, the Abaya symbolized oppression and control to me. Dubai taught me that it’s Abaya wearing women, who by the way compliment the black cloak with 6 inch towering Dior electric blue stiletto sandals, Chanel and Louis Vuitton handbags, expertly applied kohl pencil cats’ eyes, eyelash extensions and brilliantly painted talons, carried themselves with a quiet sophistication and femininity rarely delivered by the yoga pant uniform that has swept across the U.S. Flashes of designer jeans and flowing wide leg linen pants peeked out of the abayas, gold belts synched the waists, and even the cloaks themselves were sometimes adorned with lace, Swarovski crystals and peekaboo organza patches. Poolside I was grateful for the Western summer uniform of a bikini, and the discomfort potential of a black cloak in 100+ degree desert heat is not something reversecommuter will be signing up for anytime soon, but thanks to Dubai’s Muslim women, I now have a new respect and appreciation for the Abaya adorned, with their grace, confidence and air of quiet superiority to the oafy daisy duked. This entry was posted in accessories, Architecture, Art, Boston fashion, Boston suburb fashion, children, Fashion, Footwear Trends, Magazines, makeup, Media, Shoes, Shopping, Spring Fashion Trends, Technology, Travel, Trending, Trends, Uncategorized and tagged Abaya, Arab, architecture, bikinis, Boston, boston fashion blog, Boston suburban fashion blog, cat's eye, Chanel, Dior, Dubai, Dubai skyline, fashion blog, gold, Gold Souk, kohl pencil, Louis Vuitton, Lucky, mommy blog, mommy fashion blog, Muslim, Patch.com, religious customs, religious dress, Shan, suburban fashion blog, Swarovski, Western dress code, Westerners, yoga pants by reversecommuter. Bookmark the permalink. Wow! That is really eye-opening and thanks for sharing a fresh perspective on Muslim traditions! Glad you are home safely! WOW!!! SO COOL!! I would love to go one day!!! I highly recommend it – magical place! Excellent documentation of your trip! Nice series of photos. Thanks – are you in Dubai? Amazing!!! Hot in that bikini! Enjoy!!! !